I’ve struggled with my weight almost my whole life. 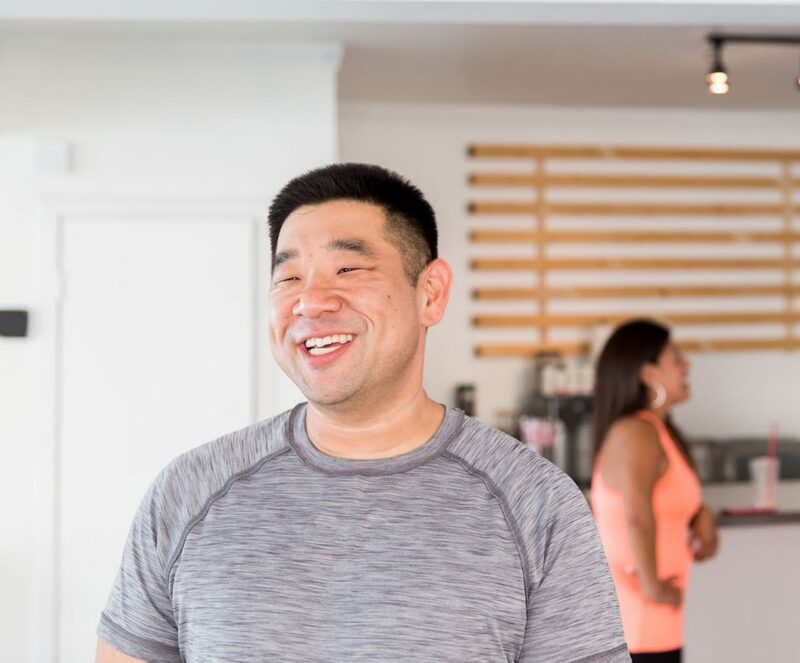 In high school, my friends and family called me Biggie – it was a nickname that followed me into adulthood until I discovered Herbalife Nutrition. I discovered Herbalife Nutrition in August 2015. One day, I was at the gym working out, and this guy taps me on the shoulder and it’s my old friend Ace, who I hadn’t seen in a few years. I remembered him as a pretty chubby guy like me, but when I saw him at the gym, he was much leaner and he looked great. * I was like, “Dude, what are you doing? You look great.” He explained that he had started to pay more attention to his nutrition and had been working out with a bunch of friends. Before our conversation ended, he invited me to join him at his next group workout. 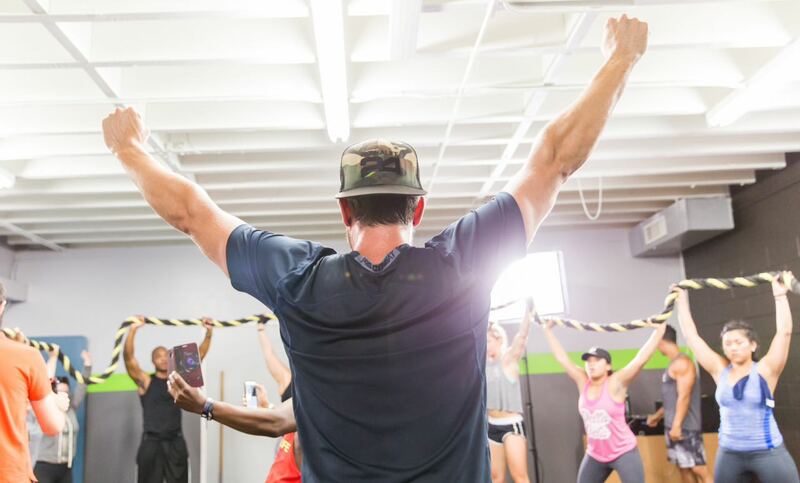 The first time I was invited to an Herbalife Independent Distributor’s Fit Club, I immediately felt the positive energy and sense of community. I met a lot of people, and the coaches took the time to get to know me. Everyone was really sincere and genuine – they welcomed me with open arms and I knew at that moment, I wanted to be a part of this community. I love coming to the Club because we all have the same goals. We have the right mindset. We want to look good, get fit and just be healthy. It’s like a family to me, and we’re always encouraging each other. I’ve met a lot of people that aren’t just workout buddies – we actually hang out together and enjoy activities outside of the Club like hiking, biking, swimming and camping. I’ve been trying to lose weight through different methods for years. It wasn’t until I came to Herbalife Nutrition that I learned about the importance of good nutrition and tried different workouts that, combined, are helping me reach my fitness goals. When I go to the Club, there are different types of workouts: upstairs, there’s body sculpt and then downstairs is body blast. You get your sweat on! Upstairs, you do a lot of different variations of sit-ups, push-ups, jumping jacks and lunges. Downstairs, it’s a little more intense: you’re working at a faster pace and doing as many reps as possible. I had a gym membership, but it’s just not the same. The difference is the motivation I receive from not only the coaches, but also my workout partner. This pushes me harder and harder to work out every day. I’m very thankful to have Herbalife Nutrition in my life because of the people I’ve met and the progress I’ve made toward my fitness goals. When I signed up as an Herbalife Preferred Member, I thought I was just getting a discount on the products, but what I discovered was a whole community of positive and supportive people who are all working toward the same goals. *People who use Herbalife® Formula 1 twice a day as part of a healthy lifestyle can generally expect to lose around half a pound to 1 pound per week.